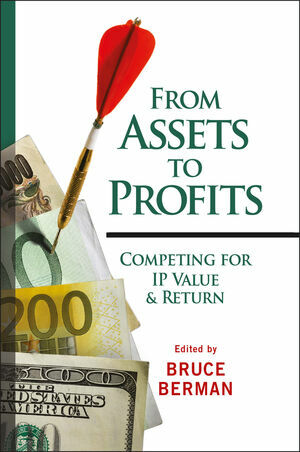 Edited by IP communications expert Bruce Berman, and with contributions from the top names in IP management, investment and consulting, From Assets to Profits: Competing for IP Value and Return provides a real-world look at patents, copyrights, and trademarks, how intellectual property assets work and the subtle and not-so-subtle ways in which they are used for competitive advantage. Authoritative and insightful, From Assets to Profits reveals the most relevant ways to generate return on innovation, with advice and essential guidance from battle tested IP pros. Bruce Berman (New York NY) is CEO of Brody Berman Associates in New York, a communications and management consulting firm focusing on innovative companies, assets and investors. Mr. Berman works closely with IP-rich companies, consultants and lawyers, as well as private equity firms and their clients to enhance patent value and facilitate transactions. 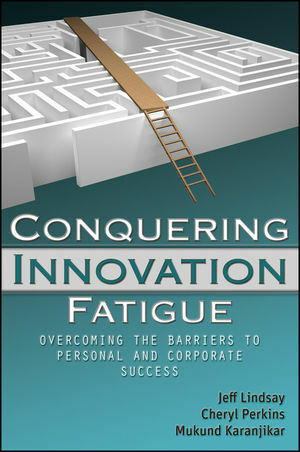 In addition to this book, Berman is responsible for Making Innovation Pay – People Who Turn IP Into Shareholder Value (Wiley 2005). He also edited and contributed to From Ideas to Assets – Investing Wisely in Intellectual Property (Wiley 2002), a widely acclaimed book about the business of IP. His articles, reviews and chapters have appeared in many periodicals, including Nature Biotechnology, The National Law Journal and The Book of Investing Rules (Financial Times Prentice Hall, 2003), which The Motley Fool called one of ten all-time best investment books. Chapter 1. Out Of Alignment–Getting IP And Business Strategies Back In Synch (Dan Mccurdy). The Emergence Of Patent Trolls, And Their Impact On IP Licensing. In A Changing IP And Business Environment, What Is The Correct IP Strategy? The Need To Tie Intellectual Property Strategy To Overall Business Strategy. Using The Company's Intellectual Property To Improve Business Performance. Not Magic – Just Hard Work. Chapter 2. The Evolution Of The Technology Firm, IP Rights, And The Business Of Licensing (Bryan P. Lord). The Past: The Integrated Industrial Economy. The Nature Of The Technology Firm. The Role Of Intellectual Property. A Precursor To The Business Of Licensing. The Present: The Disaggregated Modern Economy. Transition From Industrial To Modern Economy. The Future? The Interrelated “Open” Economy. Transition From Modern To “Open” Economy. Implications For The Business Of Licensing. Chapter 3. Strategy Before Tactics: Re-Engineering The IP Ecosystem (Kevin Rivette). Profit Pool Positioning: “Show Me The Money”. Collaborative Innovation: “How To Avoid Looking Over Your R&D Shoulder”. Chapter 4. IP Investing: Catalyst For Return Or Recipe For Pain (Bruce Berman). The True Value Of IP. Where Is IP Investing Headed? Chapter 5. Making Sense Of Recent Court Decisions and U.S. Patent Reform (Irving Rappapport and Bruce Berman). Patent Competition (What Is It? ; How Has It Changed? What Does It Mean For Business & Innovation?). How Has Patent Competition Changed? “Dark Pools” Of Competitive Information. What Patent Competition Means For Business And Innovation. The Myths Fostered By Those Claiming The Patent System Needs Drastic Change. Emerging New IP-Based Business Models. Patent Search, Software And Analytic Services. Litigation Finance And Investment Firms. Developing, Patenting And Enforcing Inventions (Dpeis). Recent Supreme Court Decisions' Impact On Business. Chapter 6. Patent Valuation Methods And Contexts: Navigating Dangerous Waters (James E. Woods, Phd). Synthesizing And Reconciling Values Derived From Alternative Approaches. Use Of The Patented Technology. Chapter 7. Measuring And Conveying IP Value In The Global Enterprise (Joe Beyers). Strategic Intent Of IP – Products/Services Only Or More? Setting The Structure For Success – Sounds Good But How Do You Get Everyone On Board? Leveraging IP For Increased Value -- But What Kind Of Value? IP Cash/Value – Who Gets The Benefit? Revenue Recognition - So You Get The Cash, But Can You Count It? Specific Business Models- So What Are Reasonable Financial Goals? Tradeoffs - So You Set The Goals, But Do You Always Want To Let Them Be Successful? Chapter 8. More Valuable Than Cash: Strategic Patents AND Return On Investment (Willy Shih). Valuing A Patent Versus Valuing A Technology. Protecting A Franchise By Excluding Others: Broad Scope, Sharp Delineation. Protecting A Franchise By Excluding Others: Broad Scope, High Cumulativeness, First-Mover Advantage. The Importance Of Time: Patent Lifetime And The Development Of Substitutes. Strategic Use Of Patent Portfolios. Attacking A Competitor Or Imposing A Structural Cost Differential. Is The Conduct Of R&D Solely For The Purpose Of Generating Patents A Sustainable Business Model? Keep The Portfolio Current With Business Needs. Maximize Coverage Of Key Detectable Art. Many Firms Decrease Their IP Asset Leverage By Making A Short Term Cost Benefit Trade-Off: Avoiding “Drug Addiction”. How Does A Firm Know If Its Patent Strategy Is Successful? Chapter 9. The Changing Economics Of Patent Litigation: Assessing Risk & Return (Ronald J. Schutz). The Rules Of The Game May Change More. The Risk/Reward Analysis From The Patent Owner's Perspective. The Risk/Reward Analysis From The Alleged Infringer's Perspective. Other Factors That All Parties Need To Consider. A Report From The Trenches. Chapter 10. Making Reputation Pay: How Intellectual Assets Influence Shareholder Value (Jonathan Low). Chapter 11. IP Asset Sales: A Work In Progress (James E. Malackowski). A Tradition Of Patent Licensing. Transition To Patent Sale And Emergence Of New Marketplaces. Chapter 12. The Evolving Role Of IP In M&A: From Deal-Breaker To Deal-Maker (Ron Laurie). First Generation M&A Mindset: The Traditional Role Of IP As A Deal Breaker. Second Generation M&A Mindset – Seeing IP As A Deal Driver. The Role Of The CIPO In Early Stage M&A Activity. The Role Of The IP Investment Banker In Extracting Maximum Value From IP In M&A Transactions. Chapter 13. Patents-As-Hedge: Wall Street's Emerging Monetization Model (John A. Squires). Attributes Of Patents Wall Street Seeks To Procure. Innovation For Consortia And Joint Ventures In Market Structure Initiatives. Role Of Patents In Market Structure Joint Ventures. Patent Valuation And Implications For Use Of Patents Moving Forward. Chapter 14. Financing IP Assets – What Banks And Traditional Capital Providers Are Missing (Keith Bergelt). Putting The Subprime Credit Crisis In An IP Perspective. Impact Of The Emergence Of Hedge Funds. IP's Emergence As An Asset Class And Important Source Of Leverage In Acquisitions. Comparative Cost Of IP-Based Capital. Chapter 15. Property And Capital Refined: Toward A Global Knowledge Value Chain (Ulf Petrusson And Bowman J. Heiden). (Re)Defining Intellectual Assets, Property, And Capital. The Transformation Of Industry To Knowledge-Based Business. The Intellectual Vs. Material Value Chain. The Physical Product In A Supporting Role. R&D As Both A Product And A Business Development Platform. Leveraging Content And Know-How As Property.